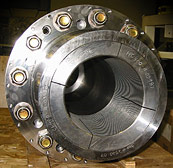 The Anderson Clamp Hub has a wide variety of uses besides connecting couplings to shafts. 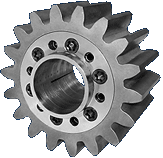 It can be used in high-speed applications as well as static, high-torque applications. If there is a need to carry torque or axial thrust on a round shaft, the Anderson Clamp Hub can probably do it. Manufacturers can save time and money with Anderson Keyless Hubs by reducing machining costs for keyed and tapered shafts. Without the stress added by keyways, shafts can be smaller. 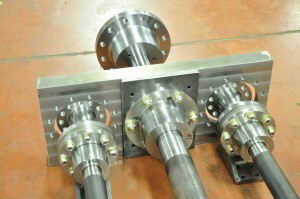 Therefore, in addition to the cost advantage, sma ller shafts mean smaller seals and less bearing wear. There are even more cost savings when considering the greatly reduced time to fit the keyless hubs as well as easy installation and adjustments. 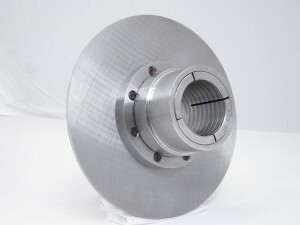 Solid Shaft Couplings – When flexibility is not an issue, double Anderson Keyless Hubs can be a simple shaft-to-shaft connection. They are even adjustable for varying shaft spacing. Hardware Mounting – The Keyless Hub can be specially designed to be an integral part of any shaft-mounting hardware and are easily applied to gears and fan blades, brake discs and, in many cases, even actuator arms. In any application, the ease of axial and angular (phase) placement can be extremely valuable.